Are your drains having a hard time…well…draining? Do you notice it taking longer and longer for your sink to fully empty? Now would be a great time to call us at (720) 363-2907 for professional drain cleaning by a Master Plumber. There are many potential issues when it comes to clogged or poorly draining pipes, and we have the expertise to properly evaluate the specific issue for your home or business. By looking into the cause–not just treating the symptom–we can eliminate clogged drains once and for all. You don’t have to put up with delayed or improper drainage. Let Best Plumbing of Denver step in to resolve your clogged drain(s)! Contact us in Westminster, CO and Denver, CO for drain cleaning services today. 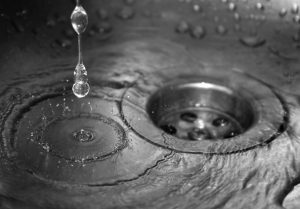 Everyday use of your sinks will contribute to build-up over time, which is why acting quickly when you notice drains clogging can save you money and frustration in the long-run. If you experience water backing up, or a bad smell coming from drains, these could be signs of a blockage that needs to be addressed. The issue could be acute or prevalent throughout your plumbing network, which is why using common chemical drain cleaners often results in little to no improvement. The issues typically reappear shortly after because the treatment isn’t targeted for the specific problem. Trust your drains to Best Plumbing of Denver! We’ve been serving the Westminster, CO and Denver, CO areas for over 28 years, so we understand the lifestyles of our customers and the local climate. These are key elements to consider as we thoroughly evaluate clogged drains to clear them completely. We utilize high pressure water applications and manual clearing methods, depending on the issue that is causing the clog. And because we are experts on all things plumbing, we can treat the problem without causing further damage or leaks to your pipes. Don’t wait for a stubborn back-up to tell you that you need drain cleaning. Let’s set you up with a regular maintenance schedule to ensure that you have a professional set of eyes routinely checking on your valuable plumbing system in total. Call us at (720) 363-2907 to learn more about plumbing maintenance services, or to schedule prompt drain cleaning for your home or business in Westminster, CO or Denver, CO! Updated on July 12, 2016 at 3:24 pm by Best Plumbing of Denver.